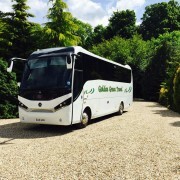 We are a family run coach hire company based at Longnor, near Buxton, Derbyshire and at Gawsworth, Macclesfield, Cheshire. We provide luxury and affordable travel across Derbyshire, Cheshire, Staffordshire, Greater Manchester and throughout the UK. 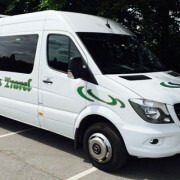 We offer 8, 16, 19, 22, 25, 27, 29, 33, 41 and 49 seater Mercedes coaches and would be pleased to give you a competitive quotation for any occasion. 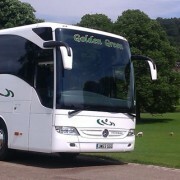 Please email goldengreentravel@hotmail.co.uk and we will be pleased to supply a quotation.